Kaikōura town has a dramatic setting on an often wild ocean. 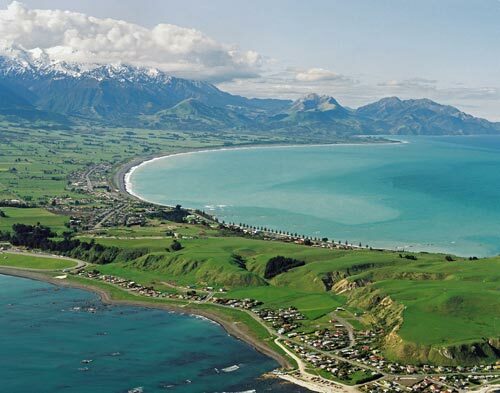 It sits at the foot of the Seaward Kaikōura Range, which has more than half a dozen peaks over 2,000 metres. In this image the town is in the middle distance, with South Bay in the foreground.